You and I have both done it. We walk the silent auction item displays looking for items to catch our eye. Some do while others do not. Why is that? Having the items out of the boxes and “staged” are the best ways to catch the eye. When you have certificates among your silent auction item displays, place them in an acrylic 8 ½ x 11 frame with a picture of the item or a photo of the “lifestyle” the item represents and a brief description. Make sure the descriptions are large enough to be read as you walk by the table. The details can be in a smaller font but ensure the heading is large and noticeable. 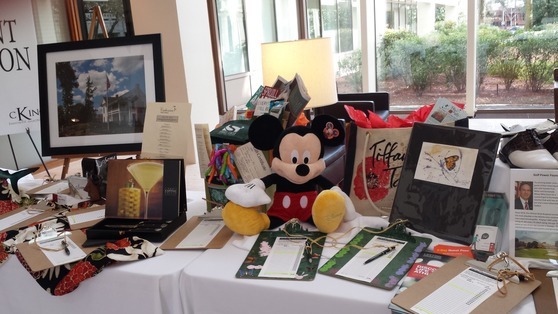 Make it easy and enticing for your guests to shop your silent auction table by providing easy to read descriptions and catchy displays.